This black beautiful shawl will add a touch of elegant and spice up any outfit. Or perfect gift for her. It is made of black lace. Adorned with black fringe. High quality workmanship. Not only on special occasions, you can use every day that is special to you. This modest shawl / shrug is perfect for women who want to stay cool but cover up. The shrug is designed and made with love, the shrug is perfect for covering up, or adding a nice fashionable lace addition to your outfit. 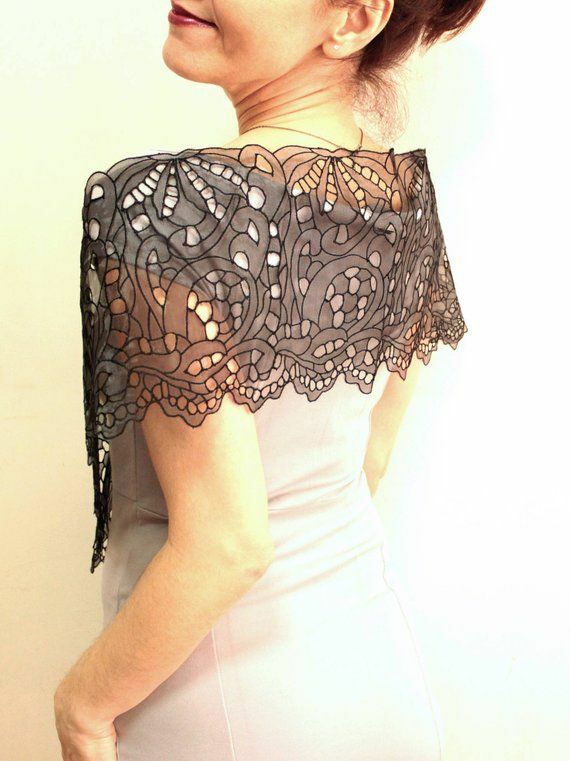 The Bolero shrug is made from lace, and allows you to slip on and off easily. You can close it with button easily. Please feel free to write me messages for everything you want to know.